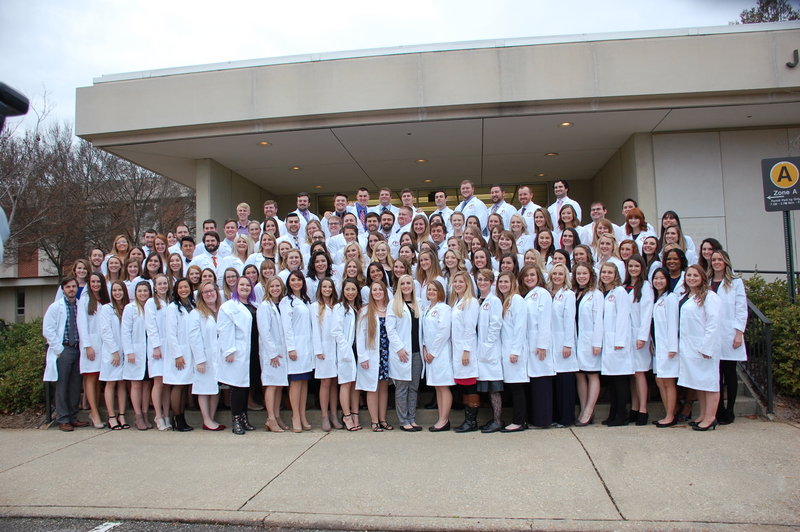 Members of the class of 2019 pose for a group photo after receiving their white coats in 2018. 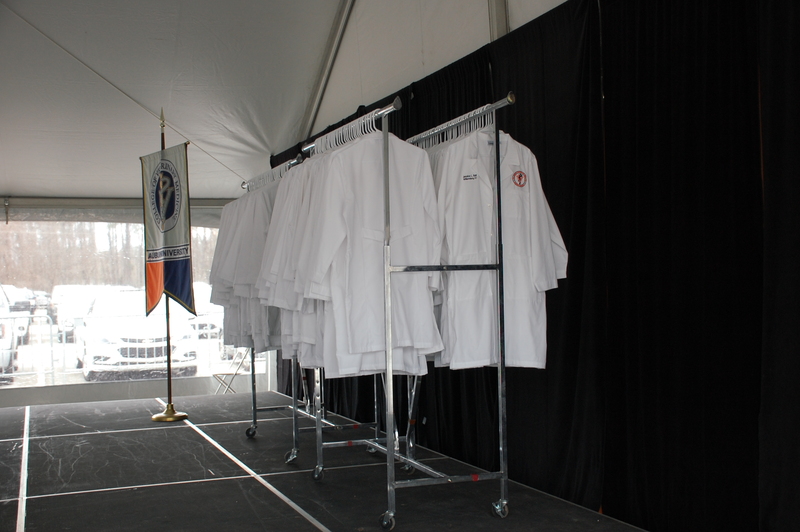 Guests and students will be welcomed by Dean Calvin Johnson before the presentation of the coats led by Dr. Dan Givens, associate dean for Academic Affairs at the College of Veterinary Medicine. Representatives from the Alabama Veterinary Medical Association, the Kentucky Veterinary Medical Association and the Tuskegee University School of Veterinary Medicine will speak, and closing remarks will be given by Brandon Weyhing, president of the class of 2020. Attending the invitation-only ceremony will be friends, family and guests of the students, who are invited to attend a reception and tour the College of Veterinary Medicine prior to the ceremony.